Hmm... seems like the Twins' relationship with Alicia is a little more twisted than it seemed from the start. 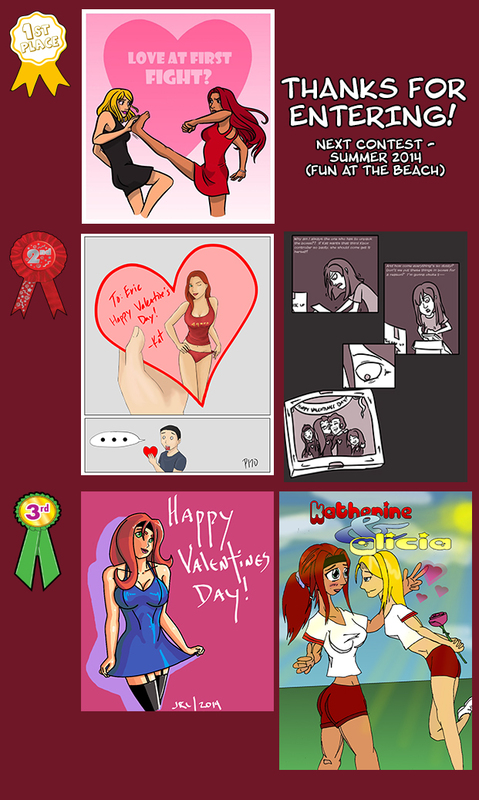 I loved so many of the entries that I couldn't just pick three! So we had a tie for 2nd and 3rd place! 1st Place - Alicia (such a cute name) - Gets her choice of one game for either the PS3, Wii/ Wii U, Vita, PSP, Nintendo DS, or XBOX 360. If games aren't your thing you may select a single Bluray/DVD. 2nd - Proxy170 for Kat's Valentine and GigaNerd's Caitlin Feels get their choice of any single standard edition Bluray/DVD! Tung exercises always a plus. Great seen your VDSD entry. It was also very cool to see the contest entries as well.